This afternoon, the PHS Dragonettes varsity basketball team headed back up to Fannin County High School to compete in the 2nd day of the 2017 Mountain Top Holiday Classic. Their opponent, the White County Lady Warriors, who defeated the Adairsville Lady Tigers yesterday to advance to the winners bracket. The ‘Nettes, knocked off the Christian Heritage Lady Lions yesterday to get to this game. In the 1st quarter, the Lady Warriors of White County got out to a quick start using a hard pressing defense to create scoring chances. Pickens, got things going towards the end of the frame, but found themselves down 19-12 going to the 2nd. In the 2nd, things picked up on both ends of the floor for the the ‘Nettes. They used a 21-15 2nd quarter run to cut the White County lead down to 34-33, going into the break. The 3rd quarter, saw Pickens take the lead from the Lady Warriors in an action packed frame. The ‘Nettes, off the strength of a 15-11 quarter advantage, took a 48-45 lead into the 4th. In the 4th, Pickens closed things out with a 14-9 run to get the win, 62-54. 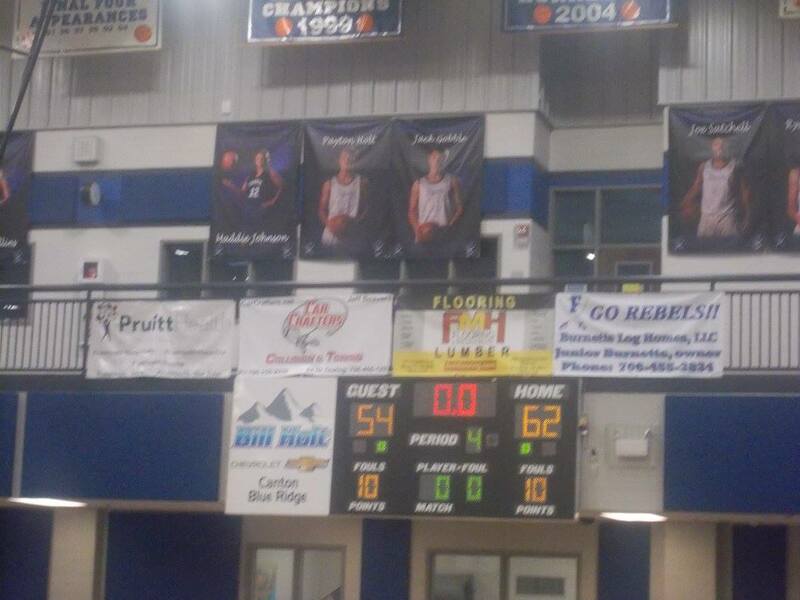 The ‘Nettes, will now face the host team, the Fannin County Lady Rebels, in the championship game tomorrow afternoon. Tip off is scheduled for 5 pm.